Material: 925 Sterling Silver Plating Color: Silver, Rhodium, Etc. Main Stone: AAA Zircon, Crystal, Pearl Setting: Hand Setting, Bezel Setting, Wax Setting, Etc. Gender: Women's, Girls' Occasion: Daily Life, Gift, Anniversary, Party, Ect. 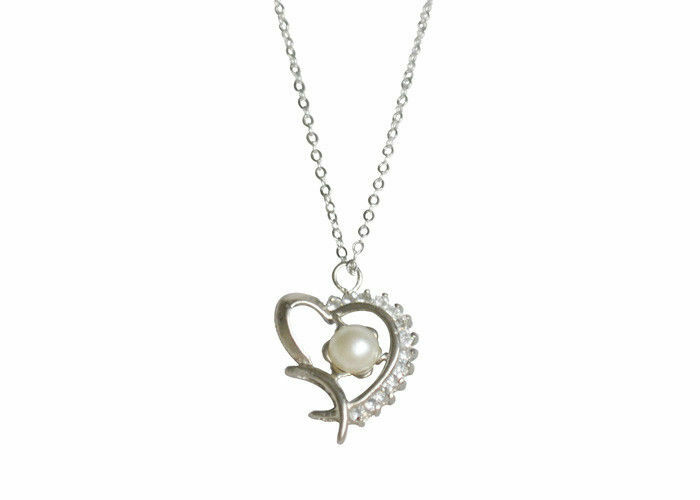 Necklace with pendant inserted zircon and pearl. 925 sterling silver chain in heart shape which is welcomed by lovers.